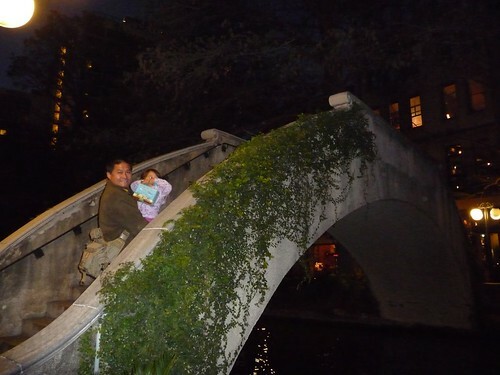 Mali Mish – Day 22: Alamo and the San Antonio Riverwalk. Our 2 days in Austin came and went in a blink of an eye. As much as we wished to stay longer, we’ve got a schedule to keep and people to meet. It is time to hit the road. Thanks for your hospitality Austin, we will be back again soon. 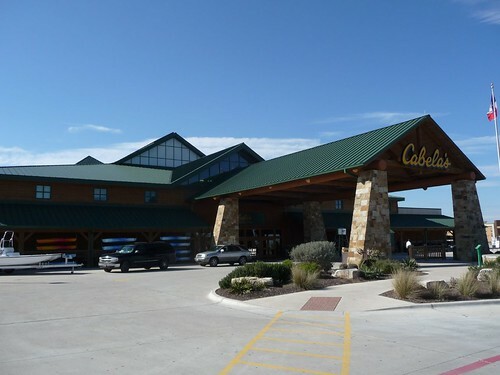 On our way out, we spotted this HUUUGEEEE Cabela’s store in a town on the outskirts called Buda, TX. We had to make a quick stop to check it out. In Southern California, we don’t have any Cabela’s stores. The closest thing we have is a Bass Pro Shop which is pretty much the same type of outdoors superstore. They are absolutely jammed packed with any types of camping, fishing, hunting gear you can imagine. 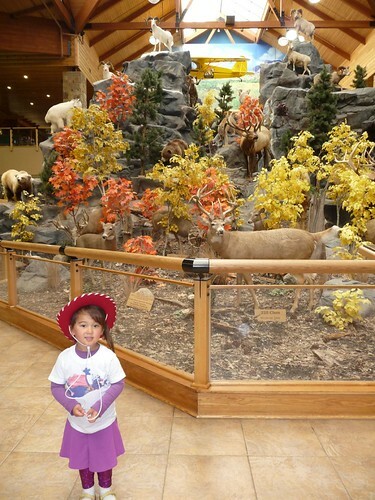 One of the features of these stores is the abundance of taxidermy animals that are on display around the whole store. They have your typical deers and hogs but in some of the big ones like this one, they even have a stuffed polar bear. Ava did not really understand the whole concept of taxidermy and how these animals came to be in this place. She was actually excited to see them as she would at a zoo. We on the other hand were a little disturbed by the whole idea that they probably bought these or commissioned people to bring these in for display. 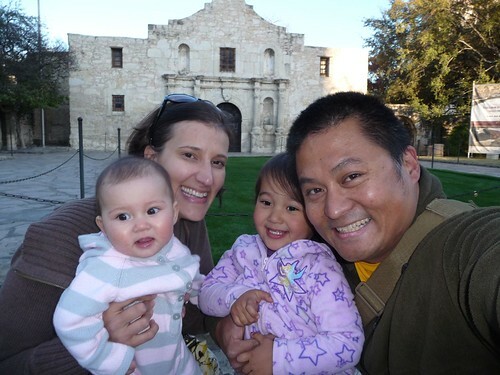 Our plan today was to make it down to San Antonio for the afternoon so we can check out the famous Alamo. 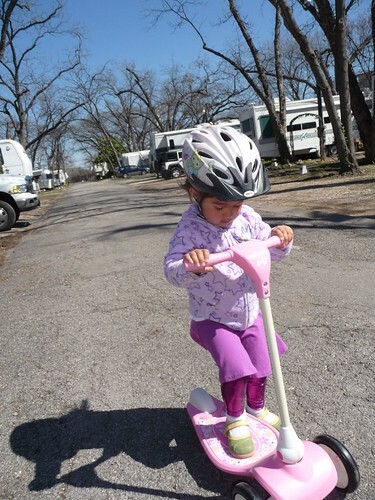 We have heard about parking in downtown San Antonio was not very RV friendly. Since the Alamo promptly closes its doors for visitors at 5:30PM each day, we had a small window to get the Airstream parked as we pulled into town shortly after 4:30. After a long and complicated altercation with a mustached meter-maid in a ten gallon hat, we found some street parking 2 blocks away for only $1.50. Marlene and the girls had gone ahead while I stayed back to find parking. I quickly shuffled myself over to the famed mission that became the historic battle sight of the Texas Revolution. The Alamo for those who don’t know is a mission that was used as a stronghold by the Texans who were under siege by the Mexicans intending to retake Texas as their own. Over a 13 day period back in 1836, 200 Texans defended the garrison from nearly 3,000 Mexican soldiers. Eventually they were overwhelmed by the continued assault and as the Mexicans breached the walls of the Alamo, all of the defenders were killed in an intense battle with only a small number of women and children who survived in a small room in a corner room inside the interior walls. 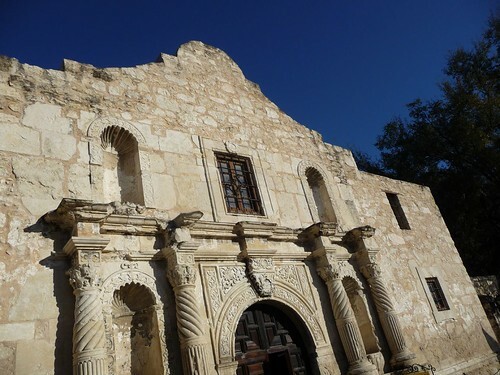 The loss at Alamo apparently caused an intense surge in the enlistment of soldiers to the Texan army. In just a couple short months later, at the Battle of San Jacinto, 900 Texans defeated the Mexican army by killing, wounding and capturing over 1,300 Mexicans while losing only 9 of their own as Mexico quickly retreated to south of the Rio Grande which in turn paved the way for Texas’ declaration as an independent country. 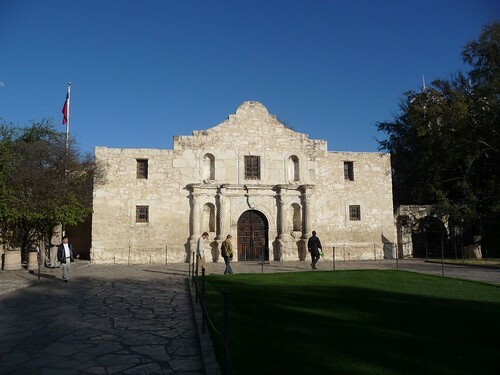 Some of the famous Alamo defenders include Davy Crockett, James Bowie and William Travis who all gave their lives during the lopsided battle. Well, battle shmattle. Ava thinks these walls are not for fighting but rather for posing. Check out this mermaid pose she struck all on her own and asked Marlene to take a picture of it. This is the front entrance of the Alamo mission. It’s not a real big building but it certainly has big historical significants in Texas. We almost got everyone to smile in this self portrait of the family. We will work on getting them to look at the camera later. 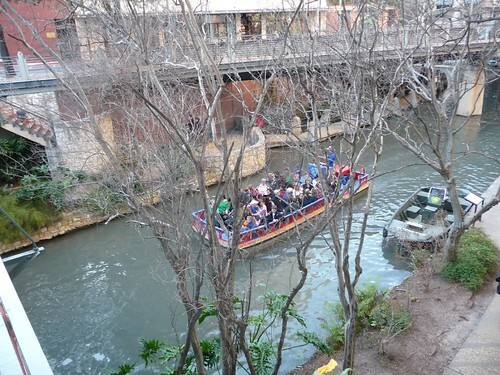 A short walk across the street you will find yourself in the very touristy area called Riverwalk of San Antonio. It is loaded with restaurants, shopping. bars and night clubs. We walked around a bit an decided to head into Casa Rio. As nice as the area seems to be, San Antonio’s service industry seems to be a little off of their game these days. We stood at the front door for probably 5 minutes waiting to get seated while the hostesses and waiters chatted amongst themselves with their backs turned to us. And even when we did get their attention, none of them seemed real pleased that we were there to spend money at their establishment. 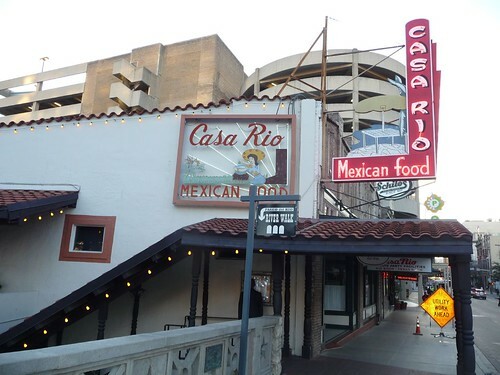 The food was decent at Casa Rio. Nothing to write home about. 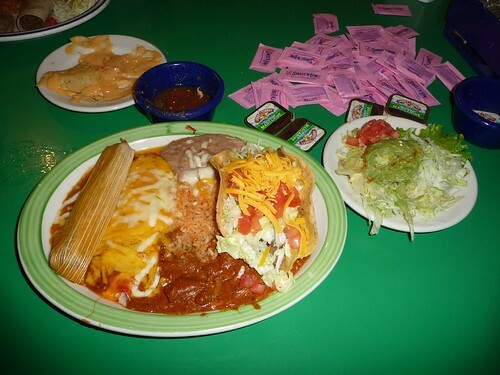 My tamale on the combo plate was smaller than a breakfast sausage while Marlene’s enchiladas were topped with Velveeta cheese. At least the walk around the river was pleasant. 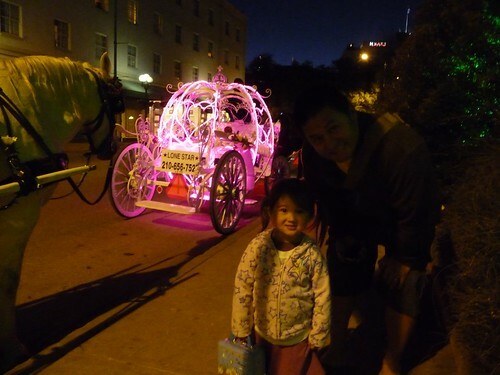 And Ava got to see a horse drawn carriage lit up in pink and shaped like a pumpkin just like in Cinderalla. Our short jaunt to San Antonio was highlighted by the 3o minute visit to the Alamo which was very worth the trip but surrounded by a city that seems to have given up on its tourism trade. Maybe the recession has given the workers in the industry little hope of a swift recovery and it definitely shows. Even the employees at the Alamo gift shop all looked liked they would rather not be there. If nothing else, we were glad to have spend more of our time in Austin and very few in San Antonio. 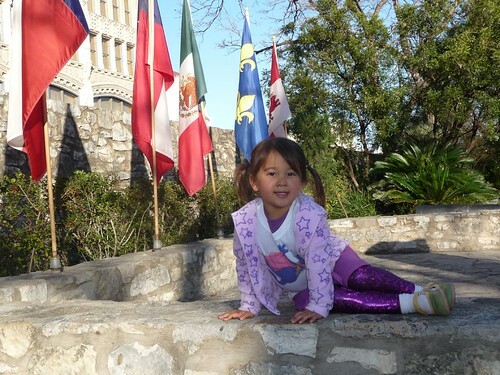 The Alamo is definitely worth a visit if you are in the area and we are glad to have been there. Especially if you are interested in its historical significance. Other than that, I would save your gas and just head down towards the road to the Gulf coast at Corpus Christi. At least that is where we are headed next.